There were 711 press releases posted in the last 24 hours and 153,587 in the last 365 days. Maxx is a famous '90s Eurodance duo act best known in Europe for the hit singles “Get-A-Way,” “No More (I Can’t Stand It)” and “You Can Get It.” The act was formed in Berlin, Germany in 1993 by music executive David Brunner (a.k.a. The Hitman) and music producer Juergen Wind (a.k.a. George Torpey). By mid-1994, Maxx had quickly grown to become one of Europe’s new dance music sensations due to their creative mixture of ragga style rap, female singing, and distinctive dancefloor beats. “Get-A-Way,” the debut Maxx single, featured vocals by rapper Gary Bokoe (a.k.a. Gary B.) and singer Samira Besic. When the single was released on October 1993, it quickly became a Top 10-hit in Germany. It later took the Top-5 spot in the UK, Austria, Sweden, Netherlands and the Top-10 spot in Switzerland and Norway. The single was later certified Gold in Germany and Silver in the UK. By mid-1994, “Get-A-Way” reached a sum total of 1.1 million in European record sales. In response to the massive commercial success of “Get-A-Way,” plans were made for a second single, an album, new music videos and a massive marketing campaign throughout Europe. The quick departure of Besic from Maxx brought in her official replacement; singer-songwriter Linda Meek who was discovered by the Maxx producers in early 1994. Meek recorded vocals for the second single “No More (I Can’t Stand It)” which also became a Top-10 hit like its predecessor. During the height of the popularity the two singles in mid-1994, Meek and Bokoe toured all over Western Europe and in Canada as a live duo act. The two performed live on popular music chart TV programs like Top of the Pops, Bravo TV, Dance Machine, Superclassifica Show and various MTV Festivals in Europe. Due to popular demand, the debut Maxx album “To The Maxximum” was released in June 1994. The album was a success in Scandinavia reaching No.10 in Sweden. The album also produced the third Maxx hit “You Can Get It” which ranked No. 21 in UK and No.13 in Finland. The final Maxx singles "I Can Make You Feel Like" and "Move Your Body" were released in Europe in 1995 before the group officially broke up late that same year. After 20 years of hiatus, original singer Linda Meek (now known by the artist name 'Elyse') reunited with Brunner and Wind in August 2016. The three and began making plans to officially reform Maxx. For almost two decades, fans worldwide have waited for an official return of the act. The wait is finally over! Get ready experience the sound of the '90s live on tour!!! Get ready to take it to the Maxx!! "I am excited to be working with Nene Musik because of their consistent track record of success with artist management and development as well as their proven track record with managing artists in the area of live entertainment bookings. I'm grateful because I believe that they can really help me on my quest to revive the Maxx brand and make it powerful again as it once was in the '90s," says Elyse. “Maxx was introduced to me via Lane McCray (La Bouche) early in 2017. I have been in discussions with Elyse for some time now and I think Maxx is a great fit to our client roster. The 90’s Music Revolution is going to fill arena’s worldwide and Maxx is a great addition to those shows.” says Ruben Dario Martinez (CEO of Nene Musik). Nene Musik Productions, Llc. 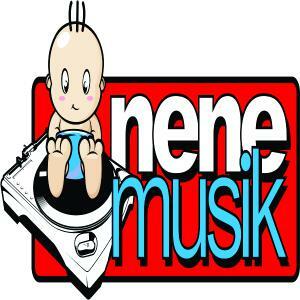 (http://www.nenemusik.com) was established in 1989. Today, it is a boutique Artist Management and Consulting Agency that services Multi-Platinum Recording Artists, International DJ's and Celebrities. La Bouche, Dennis Rodman, Cascada, Frank Reyes, Milly Quezada and the production team Tune~Adik's are just of few on Nene Musik's client roster. Nene Musik's experience and commitment to excellence have earned them the reputation as one of the best Artist Management / Consulting companies in the World.